The University of Toronto was the logical choice for Ian McGrenaghan, who wanted to pursue a degree in the heart of a cosmopolitan city. While he was a student, he held a succession of part-time jobs in restaurants, inching his way up the city's food pyramid. His first gig was as a pita-maker in a take-out restaurant near campus. It was the beginning of a career that took him from the fast-food counter to co-ownership of two popular Toronto eateries, Mexican restaurant Grand Electric and its barbecue offshoot Electric Mud. McGrenaghan graduated with a degree in philosophy and political science in 2007 from Innis College, which, it turns out, boasts several graduates who have savoured success in the food and beverage industry. Over the weekend, Innis will be welcoming these students back to cater a reunion for alumni of the college. Grand Electric, which McGrenaghan co-owns with his former roommate Colin Tooke, will be dishing up spicy tacos. Beer connoisseur Cass Enright (class of '98) will be providing craft beers. Marie-Luise Sebald of All Juice will be quenching people's thirst. Matt Tanner, of the home and business coffee-delivery company Coast to Coast Coffee, will be supplying the caffeine. And Dufflet Rosenberg, of Dufflet Pastries fame, will be bringing dessert (bite-sized confections called petit fours). Rosenberg said she has happy memories of an Innis film course taught by Joe Medjuck, who became a Hollywood producer. After a year, she saw a fork in the road and left U of T to attend a culinary program. However, she said an arts degree is always worthwhile. 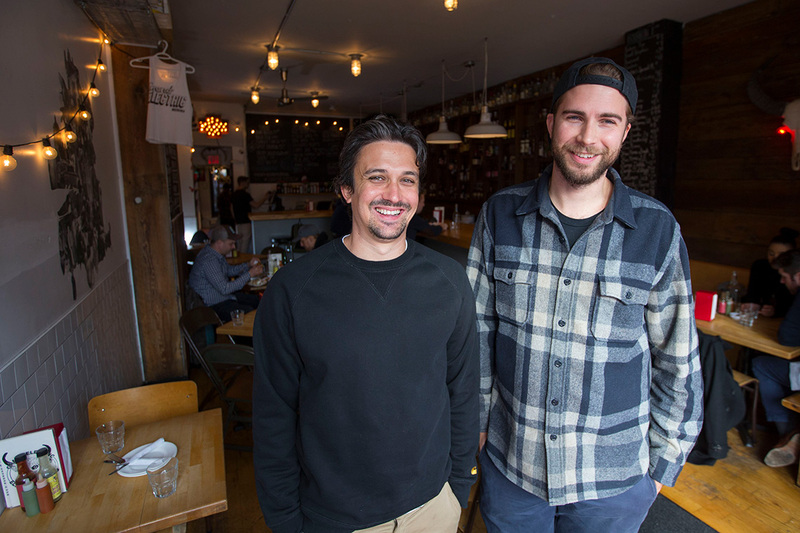 McGrenaghan and Tooke, who both worked at the Black Hoof, opened Grand Electric in 2011. They aimed to fill a perceived gap in the city's dining scene with a laid-back restaurant that closes late. The duo is currently planning to open a takeout taco spot near Trinity Bellwoods Park next month. While a philosophy and political science degree might not seem like an obvious foundation on which to build a local restaurant empire, McGrenaghan said you would be surprised. “Dealing with human beings and how they interact is what a lot of this comes down to,” he told U of T News. In university, he acquired the skills to cope with the demands of having to manage a staff of over 100 people, he added.